Monaco has the image of a fairy-tale principality where aristocrats play baccarat and chemin-de-fer in the Casino, throw glamorous parties on the decks of their yachts, and sip Cognac in the bar of the Hermitage or the Hotel de Paris. And it’s all true, except for the fairy tales and aristocrats. Today’s yacht owners are more likely to be tax-dodging millionaires from the world of industry and high finance than deposed kings, and the crowd at the Casino on any given night may include corporate incentive groups or insurance brokers from the Monte Carlo Convention Center. As for the fairy tales, they’re mostly spun by the tabloid writers who chronicle the exploits of Prince Rainier’s children. Still, Monaco is worth visiting if you’re headed for the Cote d’Azur–providing you have enough money to feel welcome in this country clubbers’ paradise. 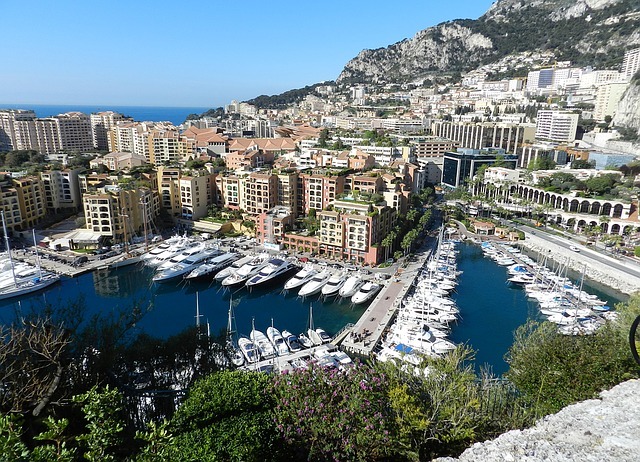 Monaco is tiny: just 430 acres, or less than a square mile in size. Only 5,070 of its 29,972 residents are La Monegasque citizens; the rest are French, Italian, and other foreigners who have come to Monaco for sun, fun, and tax breaks. Although banking and industry are important to the local economy, tourism has been the most obvious source of foreign exchange since Prince Charles III gave an exclusive charter to the “Sea Bathing and Circle of Foreigners Company” in 1863. The construction of a railway line from Nice, a casino, an opera house, and expensive villas on the plateau of Les Spelugues (renamed “Monte Carlo” in honor of the prince) turned a pint-sized Mediterranean backwater into a mecca for the idle rich. 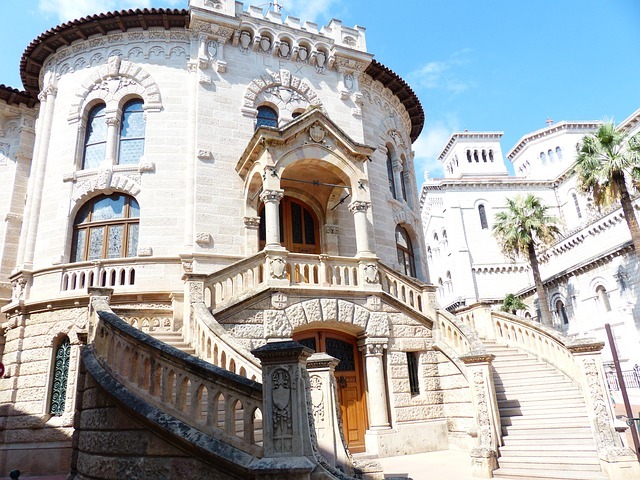 Today, the Monte Carlo Congress Center and Auditorium may be as important to the economy as the Casino, although the latter remains the principality’s symbolic and spiritual center. Some 1,400 hotel rooms are within 200 meters of the convention center, and visitors collectively spend nearly 200,000 nights in the principality’s hotels every year–more than five times the number of sleepovers 30 years ago. Situated in the heart of Mediterranean Europe, the Principality of Monaco enjoys a particularly mild climate, with more than 300 days of sunshine per year. In winter, temperatures average between 48 to 58 degrees Fahrenheit with sunny days and cool nights. In the springtime, “Le Mistral” wind creates crystal clear skies with temperatures in the 50s-60s. Most summers are in the 80s with hot spells for a week or so in July and August. Sea breezes cool down the evenings. One of the loveliest times to be in Monaco is Fall. With temperatures in the 60s to 70s, people are still sun tanning on the beach until mid-October. Experience the country’s most famous residence where Prince Rainier III and his son Prince Albert make their home. The legendary Grimaldi family palace exhibits classic elegance, displaying the immaculate structures that make up their estate. Be sure to visit just before noon when the changing of the guard takes place, then stick around for an inside tour of some of the rooms. Located on Monaco-Ville. Located in the south wing of the palace is an amazing mix of historical artifacts, documents and relics from the time of the grand Emperor. Arranged in an easy-to-follow pattern, the objects are narrated by an audio tour that comes free with the price of admission. You’ll see items ranging from one of Napolean’s toddler-age dressing gowns, to his bronze death-mask. It’s an unpretentious, intimate look at one of the world’s most famous historical figures. Located at Place du Palais. Open June – September and December – May. Audio tours are offered in several languages, including English. To pay your respects to the most beloved woman of the principality, stop by this peaceful church where Princess Grace was laid to rest. Killed in a car crash in 1982, her tomb is modest (by princess standards), marked only with her name and title, always surrounded by flowers. Located at 4 rue Colonel Bellando de Castro on Monte-Ville. Dedicated two years after her death, this beautiful garden boasts thousands of roses in a refined, manicured setting. Stop by to catch your breath, read a book or simply enjoy the natural fragrance of this creation. Located in Fontieiville. Open sunrise to sunset, year-round. If you like gambling, you must try your luck at the most famous casino in the world. The renowned Monte-Carlo has a casual area complete with slot machines and reasonably priced gaming tables. If you’re looking to mingle with the high-rollers, there’s private rooms available for a higher fee of admittance. If nothing else, enter to see the beautiful marble and onyx atrium, or walk across the street to the free public park featuring contemporary art. Located at Place du Casino. Visit www.casino-monte-carlo.com for dress code and other pertinent visitor information. Also to note: no one under the age of 18 is allowed inside the casino. Admire a delightful array of over four thousand fish, and experience a historical view of marine life through films, displays and exhibits at this acclaimed attraction. It’s a great place to bring your kids for an educational glance at nature, plus enjoy a delightful restaurant with a spectacular view. Located at Avenue Saint-Martin. Open year-round. See the grand collection of stamps and coins owned by local royalty in a carefully organized, roomy setting. On display are historical sheets, authentic printing presses and documents illustrating how some of the designs came to life. The entrance fee is pleasantly inexpensive and a souvenir stamp comes free with the price of admission. Located at Terrasses de Fontvieille. 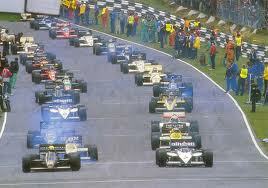 The international see-and-be-seen event for the rich and famous is the exciting Grand Prix. Happening each May, the pulsing auto race draws more tourists than any other function in the country. If you plan on coming during this time, you must contact the Automobile Club of Monaco in advance for tickets. But don’t be discouraged, prices start at around $60 and cheaper options are available on the lawn below the palace. If you really want to make a vacation of it, book a hotel room with a facing view or reserve a seat at a lunchtime eatery for a spectacular meal to go along with the fun. If you’re a passionate shopper, you’ll feel right at home at this sparkling mall that offers fashion, gifts, entertainment and food. You can browse books and CDs at FNAC, choose from the most coveted cigars at Davidoff, discover brilliant Italian jewelry at Pomellato or sample delicious Godiva chocolate at Blue Shop. The air-conditioned, immaculate complex will make you want to stay all day. Located at 17 Avenue des Spélugues. Wherever your Monaco plans take you, remember to dress well (many establishments have a dress code), be careful on the roads and sneak plenty of peaks at the yacht-lined harbor that make this one of the most picturesque destinations on the planet.